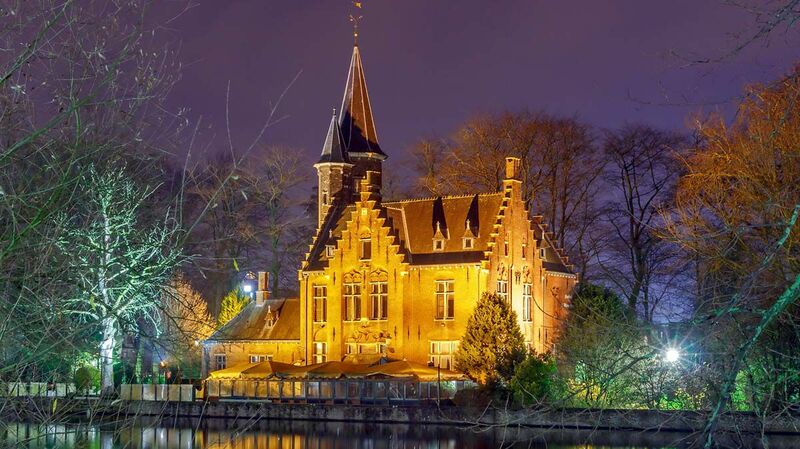 Visit the unspoiled medieval town of Bruges to appreciate the delights of Belgian culture in Christmas splendor. Lights and decorations cover the beautiful alleyways, churches and patrician houses during the holiday season, turning the town into a Christmas fairy tale. Chocolate lovers will delight in sampling the renowned chocolates found in Bruges, along with Belgian waffles and other sweet seasonal delights available at Christmas. Beer connoisseurs will not be disappointed by the brew scene offered here, high quality local breweries provide the perfect opportunity for an in-depth tasting of ales as well as some scrumptious Belgian classics delights like Moules-frites (steamed mussels with fries) or Stoofvlees (stew of beer and beef). Our day begins with a walking tour of Bruges where your guide will point out the many highlights and sights found throughout the city. The rest of the day is yours to experience all the delights of Belgian culture in Bruges, visit the sites or museums or do a little shopping. Be sure to sample the amazing chocolates, waffles, beer and other culinary delights along the way!